Home and Garden | Hickory, NC - Hickory Home & Garden Ctr. Since 1963, Hickory Home & Garden Ctr. has been the family-owned-and-operated store that locals trust for all of their hardware, garden, and construction needs. Our staff has more than 50 years of combined experience, so you know that you are getting the best quality service when we assist you. 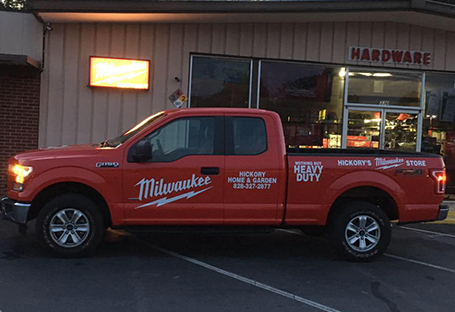 We are known for having one of the largest selections of Milwaukee tools in the area. That means that when choose to shop with us, you don't have to wait to get what you need. Walk in, find what you need, and walk out with it on the same day. We offer one-on-one assistance, to help you with anything you may need. Visit us today and let us help you finish your projects. Check Us Out on Facebook & Instagram for sales & giveaways. Like Us, Share Us, Recommend Us! Hickory Home & Garden Ctr.